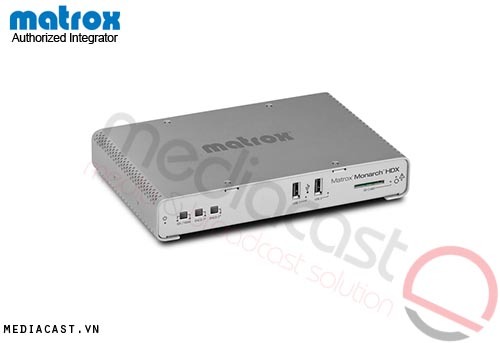 The Matrox Monarch HDX is a simple and versatile video encoding appliance specifically designed for broadcasters and webcasters who need a flexible solution that is powerful enough to take on today's demanding video delivery workflows. Monarch HDX offers 3G-SDI and HDMI inputs with frame-synchronization to correct any discontinuity at the input, and two independent H.264 encoders that can be assigned to individual tasks. 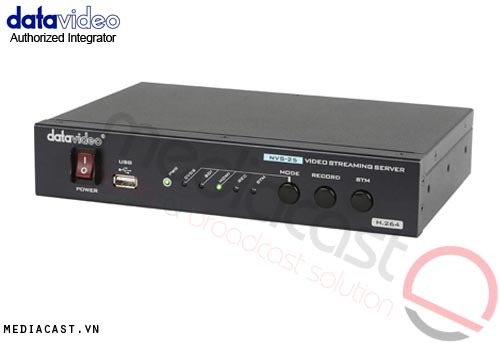 By providing two encoders in a single device, Monarch HDX can tackle any job; from streaming to two different locations, to recording a proxy quality file while simultaneously recording master quality version for post-event editing, to using one encoder for streaming while the other records at higher quality for VOD downloads. Whether used as a live streaming encoder or video recorder, the Monarch HDX can integrate seamlessly into virtually any SD and HD installation. Whether you're providing live streaming content to Adobe Flash or Wowza Media servers, to any of the popular CDNs, or directly to a computer, Matrox Monarch HDX's flexible video streaming protocol support is up to the task. The Monarch HDX is a certified "Works with Wowza" live video streaming encoder, allowing our users to benefit from enhanced integration with the Wowza streaming engine. As a certified encoder, Wowza Manager can provide an XML file which contains the credentials required for Monarch HDX to easily connect to the Wowza Streaming engine. The Monarch HDX also supports XML files generated for use with Flash Live Media Encoder. These files are often offered by CDNs to allow their customers to easily connect to their service. Both XML files are loaded into the Monarch HDX using the Matrox Command Center, a web based UI. Powerful and robust, Monarch HDX offers simple, one touch stream and record push buttons, input selection, and a locking power connector. Monarch HDX's HDMI or SDI outputs makes it easy to monitor what you are streaming and recording, regardless of signal source. All eight channels of embedded audio can be passed from any input to any output. When embedded audio is selected, all eighth channels are passed from input to output. When Analog audio is selected, it is both looped out as well as embedded in video outputs. Its design allows Monarch HDX to be just as easily located on a desktop as in a rack-up to two units can fit in a single 1RU tray. The storage and button controls are conveniently located on the front of the unit while the power and I/O ports are found at the back. Finally, the Monarch HDX also features a wide input voltage range of 9 to 24 volts. It can be powered using the Matrox supplied power supply or DC sources such as standard field batteries. Note that when input is an SD resolution, the HDMI preview output will show video windowboxed on an HD output. 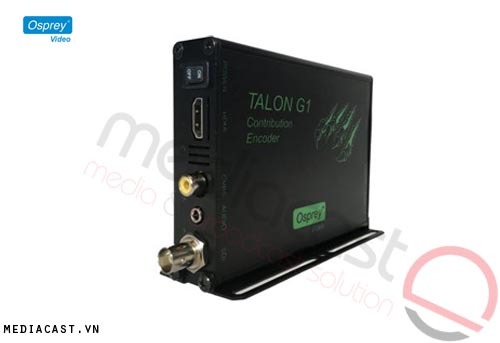 SDI Video Output 0 frame latency passthrough of Input signal. Output is a clean distribution of SDI incoming signal. Hardware bypass relay present in SDI signal path is "closed" on power failure. Audio Output Passthrough of 8 channels of embedded audio channels in HDMI and SDI signals. Unbalanced analog stereo output via 1/8" (3.5mm) jack � passthrough of input. Frame Synchronization The Monarch HDX contains frame synchronization circuitry designed to compensate for disruptions of the input signal. This circuitry is in place for both SDI and HDMI inputs. Streaming and recording operations will proceed cleanly with repeated or dropped frames. Encode Frame Rates Encode frame rates selection includes 60/50, 30/25/24 and 15/12.5. Note that audio codec settings are applied to streaming or files delivered by both encoders. Recording Lengths Maximum file length of 300 minutes�irrespective of storage type used. File splitting feature allows a user to record continuously for long periods by defining file segment sizes. The Monarch HD will create these sequential file segments over the course of the recording operation without losing a single frame of video. File segment can have a length of 1 to 300 minutes. Computer Based control HTTP via standard PC or Mac web browser using Monarch HDX Command Center. 1 x SD card Slot Supports SD and SDHC cards (Class 10 highly recommended). Only NTFS formatted SDXC cards are supported. Network Mapped Drive Support for writing to shared folders on computers found on a network using Windows Share protocols (suitable for Windows system) as well as NFS protocols (suitable for Mac and Linux systems). Start Stop Controls These buttons are available at all times no matter where you navigate in the UI. Control Page Multiple Monarch devices can be connected in a Master/Slave topology to allow for synchronized recording and streaming operations across multiple units via a single interface. 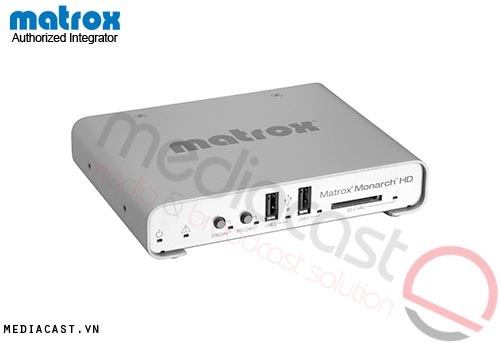 Additional Tools Matrox provides PC or Mac based utilities to help detect the Monarch HDX Device on a particular Network (DHCP server required), to update Monarch HDX devices with latest firmware and to reboot the devcies remotely. MRCH/RACK/KIT Monarch HD Rack Mount Kit. Can fit up to two Monarch HDX units in a 1RU space. PWR/SUP/MHDX Monarch HDX power supply unit. Does not include IEC-C8 power cord. These cables must be sourced locally.